It's beautiful! And wonderfully photographed. I'm sorry your original dish wasn't what you expected, but it looks like it opened the door for the onigiri. I am grateful! Gonna have more interesting onigiri recipes soon! Finished them all in 10 mins!! 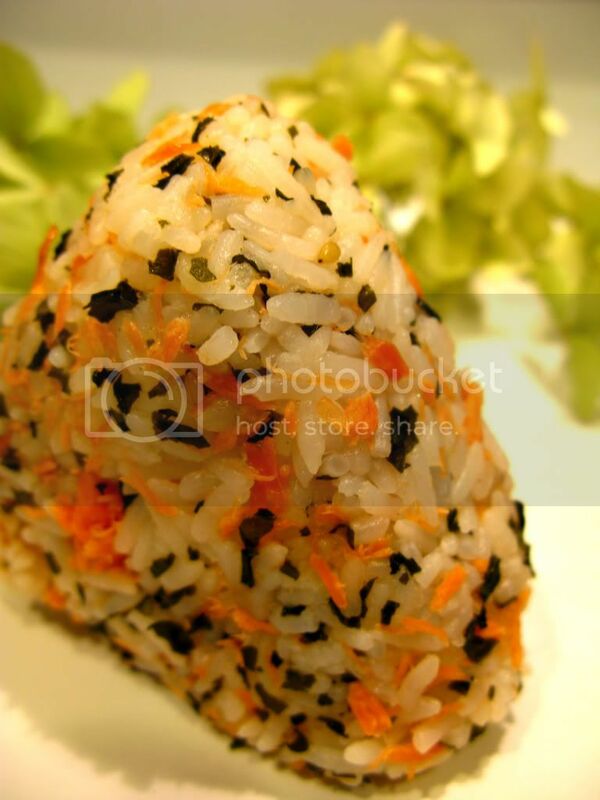 Nice picture of Onigiri! Wow, i bet it was good. Yum! Which reminds me, I have not made my own sushi and onigiri before! So happy to see you here again! Let's making something new and interesting flavored onigiri in the future! oh my goodness! this look beautiful and i bet it is yummy!